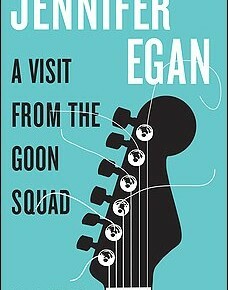 Each chapter of the new novel by Jennifer Egan is really its own short story. Each story is told from the point of view of a different character but each character is connected in some way (sometimes tenuously) to Bennie Salazar, a teenage bass player in a mediocre punk rock band who matures into a rich and successful music producer. Time is the goon squad and the central theme is what time does to our youthful hopes and fears. Through all the stories runs a desperate need for belonging. They jump back and forth in time, covering a period of at least forty years and winding up in the future. There is a variety of styles, including one chapter done entirely as a power-point presentation. (I would be wary of getting an e-book edition). This is the season for reflecting on time, and this book will certainly get you thinking. It would also make for some good book club discussions. Now available at Gordon Community Library.